This is the fifth sermon in the series – CREST: An Army Standard. 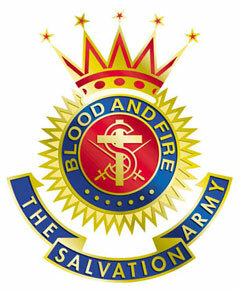 This series is a group of teaching sermons that go through the biblical foundation for the parts of The Salvation Army crest. This sermon deals with the seven gospel shots. Truth #1: The existence of a holy God. Romans 1:20 – For ever since the world was created, people have seen the earth and sky. Through everything God made, they can clearly see his invisible qualities—his eternal power and divine nature. So they have no excuse for not knowing God. There is a God. I am not Him, and neither are you. We have a loving Creator who is outside of ourselves. Truth #2: The evils of sin are against God and man. 1 John 3:6 – Anyone who continues to live in him will not sin. But anyone who keeps on sinning does not know him or understand who he is. Sin is not of God. Sin is the opposite of God. Sin is not of God. Truth #3: There will be punishment for sin that is fair and everlasting. Romans 6:23 – For the wages of sin is death, but the free gift of God is eternal life through Christ Jesus our Lord. If you cannot follow the rules, then you have to pay the penalty. The only free thing in life is the love of God. Even salvation, which others think is free, cost the life of Jesus to balance. Truth #4: Jesus dies on the cross for the human race. Matthew 20:28 – For even the Son of Man came not to be served but to serve others and to give his life as a ransom for many. Jesus gave His life for us. The love of God, God’s economy, is always about others. Truth #5: Salvation is for all mankind and is free to all who accept Jesus Christ. John 3:16 – For God loved the world so much that he gave his one and only Son, so that everyone who believes in him will not perish but have eternal life. There is no limitation to the scope of God’s salvation. There is no one beyond the love of God, unless we, personally, choose to be outside of the love of God. Truth #6: It is the responsibility of every Christian to do whatever they can do to spread the gospel. The love of God is too great not to share. It is too big not to give away. Truth #7: God rewards those who are faithful with eternal life in heaven with Him. John 14:1-3 – “Don’t let your hearts be troubled. Trust in God, and trust also in me. There is more than enough room in my Father’s home. If this were not so, would I have told you that I am going to prepare a place for you? When everything is ready, I will come and get you, so that you will always be with me where I am. Not only is there a God, but He has a place prepared for those who follow Him.